These books are set after the Jews’ return from the Babylonian exile. Once again, the people of Israel have gone their own way and have neglected God’s will. These prophetic works explore the tensions that surround YHWH’s second temple and the trials that Israel faced in returning to God in order to be a blessing for the whole world. These books, which come from a relatively prosperous time in Israel’s history, are too often not given the attention they deserve. We are called to keep our eyes on God both individually and collectively as God’s living temple, a message just as applicable today as it was in the time of ancient Israel. 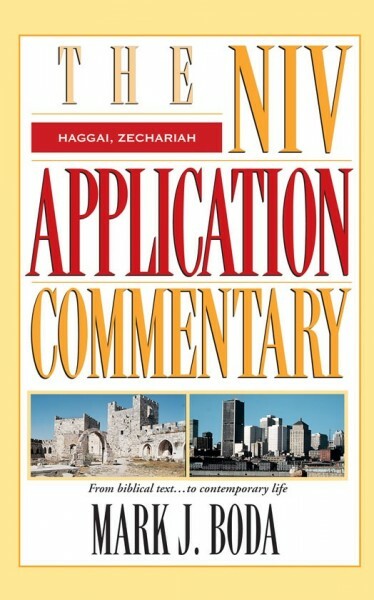 The author of this this NIV Application Commentary volume, Mark J. Boda, walks us through the original meanings of these books and connects them to our everyday lives.